Radio; Cheaper and in many ways more intimate and local than TV. I think a lot of undecided voters and disenchanted republicans can be reached through radio. We have let the GOP machine dominate the radio airwaves for too long. Time to take back the public airwaves from Rush and his ilk. Radio is a great place to run candidate ads and I was thrilled to hear about this one. 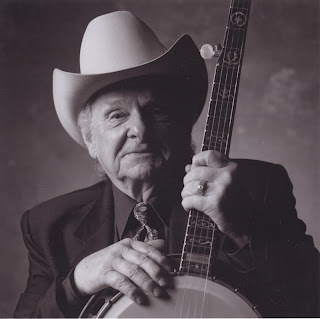 TPM Cafe hightlighted this great local ad that is running in Virginia with Bluegrass legend Ralph Stanley. Are you hearing any good political ads/ outreach where you are? Update: At little Ralph Stanley to celebrate.